Costume dress with attached belts and pouch, and a cape. Available in sizes Toddler (3T-4T), Small (4-6), and Medium (7-8). Rapunzel, let your hair down in this Disney Princess costume! 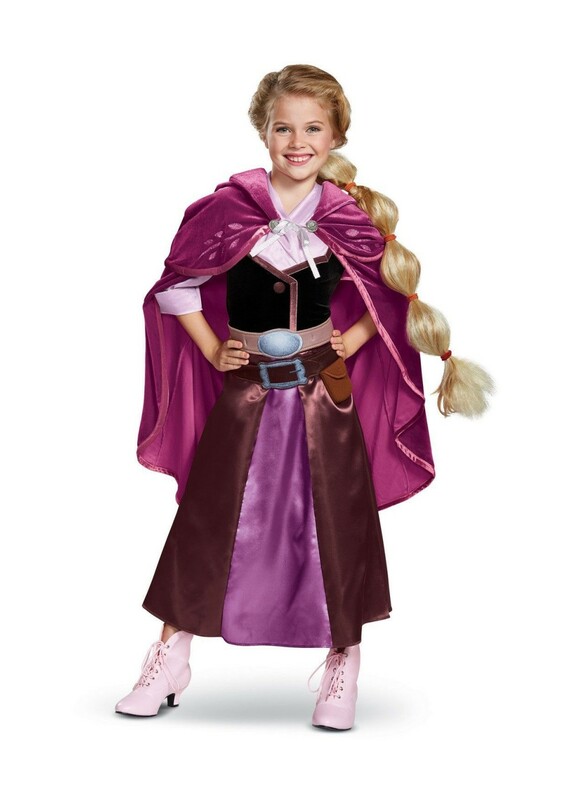 From Tangled, the series, this Rapunzel costume has everything you need to become the beautiful, lost princess! 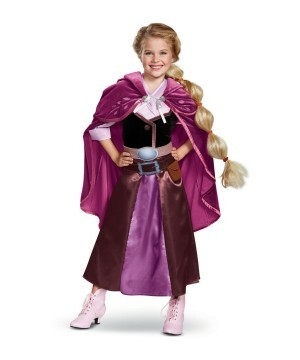 Review(s) for " Tangled The Series Rapunzel Girls Costume"